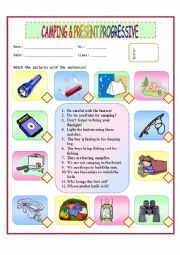 This is a worksheet about things we can find in a bedroom. 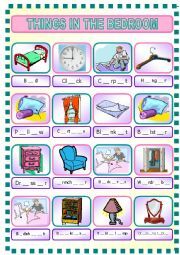 The students have to fill in the vowels in the blanks based on the picture. I hope it can be useful. Thanks to CHARMED ONE for the template. 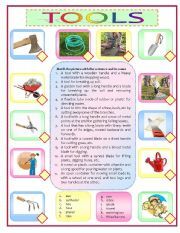 This is a worksheet about gardening tools. Hope it can be useful. Thanks to CHARMED_ONE for the template. 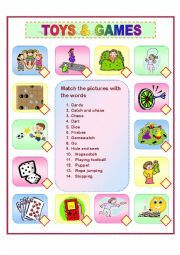 This is a worksheet about games and toys. Hope it can be useful. Thanks to CHARMED_ONE for the template. 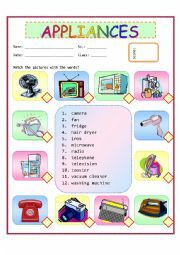 This is a worksheet about appliances that can be found at home. Students have to match the pictures and the words. Hope it can be useful. Thanks to CHARMED_ONE for the template. 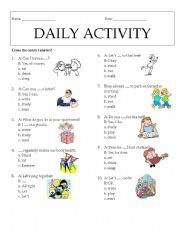 This is a multiple choice worksheet about daily activity. I hope it can be useful. 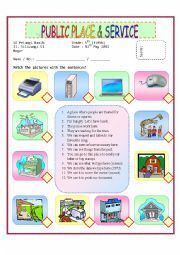 This is a worksheet about computer equipments and public place. Students have to match the pictures with the sentences. Hope it can be useful. Thanks to CHARMED_ONE for the template. 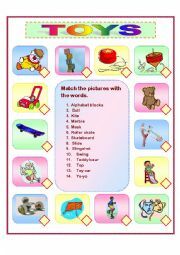 This is a worksheet about activity that can be done in classroom. Students have to match the pictures and the sentences. Hope it can be useful. Thanks to CHARMED_ONE for the template. 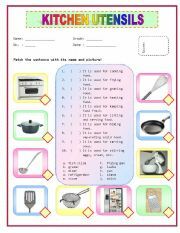 This is a worksheet about kitchen utensils. The students have to match the picture with its name. I hope it can be useful. Thanks to CHARMED ONE for the template. This is a ppt about preposition of place. Students have to complete the sentences based on the pictures. I hope it can be useful. This is a ppt about preposition of place. Students have to answer the question based on the pictures. I hope it can be useful. This ppt is about the stuff needed for camping. Students have to guess the name of the picture. I hope it can be useful. This is a ppt about occupations. Students have to fill in the blanks based on the pictures. I hope it can be useful.